This post is sponsored by The Gruffalo. This month we are spotlighting books by Julia Donaldson as part of our Virtual Book Club for Kids! We have spent the week creating and playing while we've been reading The Gruffalo. While watching The Gruffalo's Child we got an idea to make our own Gruffalo tracks. We grabbed some supplies from our recycling cupboard and some paint and paper and we got started! Hot glue lids onto a piece of cardboard to create your Gruffalo print. My son decided what he wanted his Gruffalo footprint to look like and we made it. Since the Gruffalo is fictional, there is no real right or wrong way to make your prints. He could've made his with four toes but instead he chose three. Once the hot glue is dry you can dip the lid side down into paint and then start printing onto large sheets of paper. We made our tracks in two different ways. The first attempt was done by taping the cardboard to my son's shoe with masking tape. He walked along the paper with the Gruffalo print attached to his foot and stomped out a paint design. Although this was fun, the tape didn't keep the cardboard very secure. After a few minutes he decided to use his hands to place the painted Gruffalo print onto the piece of paper and then he jumped up and down several times onto the print to help it make a mark. 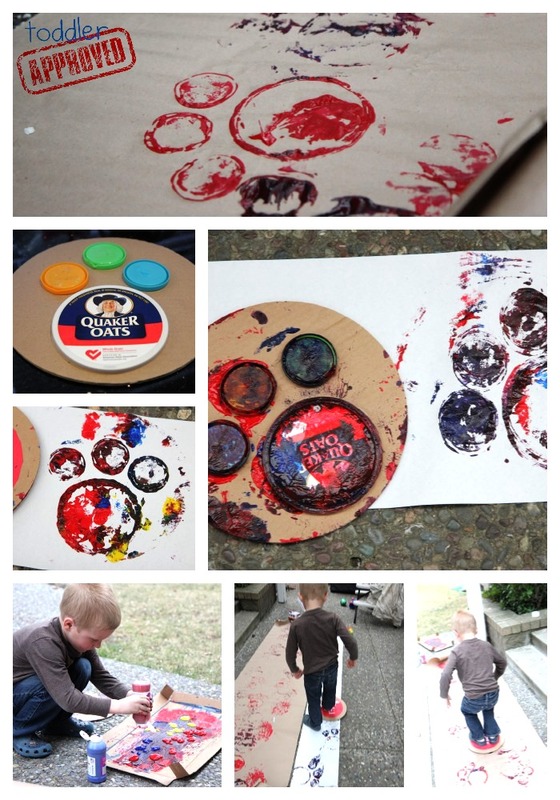 I loved how he turned this idea into a very active way to paint! It was fun to see the Gruffalo print colors that were created as he jumped and stomped. In addition to making Gruffalo prints, this week we've been having a great time with some of the products sent to us by our friends at The Gruffalo. If you love book-inspired activities and products, here are a few that you might enjoy from The Gruffalo. 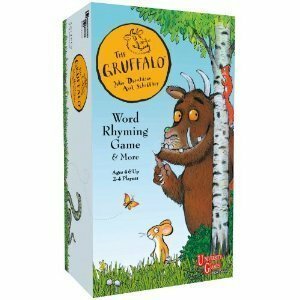 The Gruffalo Word Rhyming Game is a game that my son was excited about from the second it arrived. Rhyming is a critical skill for kids who are learning to read and my son is IN LOVE with discovering rhymes. He spends lots of time during the day making up nonsense rhyming words so finding a game that let him look for rhyming words as well as practice reading words, matching colors, etc. was great. The game is for kids ages 4+ and works best for between 2-4 players. In addition to trying to follow the rules that came with the game, we also used the cards to play our own Gruffalo versions of Go Fish and Old Maid. The images were beautiful and cards were very durable, so that made this game extra wonderful. My son picked to play this game as his reward for today... instead of the iPad... which is pretty awesome to hear. 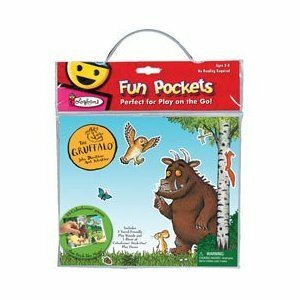 Gruffalo Fun Pocket Travel Play Kit was mentioned in my post on Monday. My toddler loved it and she hasn't really given her older brother a chance to play with it yet. The kit comes with two scene boards and several Colorforms stick-ons. It also comes with a travel friendly pouch. This kit is a great tool to use as you are retelling the story or coming up with your own version of the story. My daughter also liked to use the Colorforms for matching activities and liked to just have them hang out out and watch a movie with her too. The Colorforms are durable and bendy which is also a great selling point. The only things we didn't love about the Colorforms were that they were small (easy to lose) and that some of the stick-ons were animals that weren't mentioned (or seen) in the book which made my daughter frustrated. 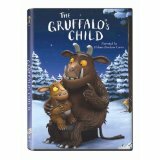 The Gruffalo and Gruffalo: The Gruffalo's Child DVDs are both beautiful versions of the books. We got these last week and have loved watching them while eating Gruffalo Crumble. The illustrations were exquisite and the actors and actresses did such a phenomenal job telling the story. 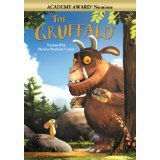 Although my kids thought the Gruffalo was a little scary at first, they ended up loving these movies and ask to watch them daily! Their favorite characters were the clever mouse and the baby Gruffalo! All of these products I've mentioned available at retail locations nationwide and online. TWO lucky Toddler Approved readers will get to win some of these items and a few others in our Great Big Gruffalo Giveaway that is going on right now... so click here to enter! Do you love The Gruffalo? 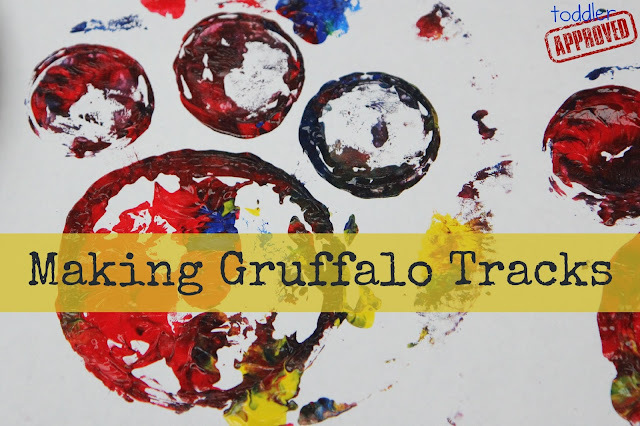 Head on over to our Virtual Book Club post earlier this week to find several fun Gruffalo inspired activities and activities inspired by other Julia Donaldson books as well! Disclaimer: This post contains affiliate links. The products shared in this post were given to me for free to review our friends at The Gruffalo. The opinions expressed in this post are mine. Awesome! We LOVE the Gruffalo! Thanks for the ideas.